The first E-cigarette Summit US was held in Washington DC on the 8th May 2017. The one-day event brought together researchers, medical professionals and members of industry from all over the US as well as many from the UK (where the organisers have held E-cigarette Summits successfully for the past four years). A review of the safety of e-cigarettes was followed by a review of the regulations that have been proposed in the US. Throughout the day, comparisons were made between the UK and US, particularly in the approaches taken to health messages and regulation of e-cigarettes. In Professor Kenneth Warner’s opening address, he suggested that there are two types of researcher in the field of e-cigarette research: sceptics, who are focussed on potential harm and protecting children regardless of the potential harm reduction for adult smokers, and enthusiasts, who are focussed on potential benefits to public health due to smoking cessation which could outweigh the potential risk to children. By this definition, the majority of researchers who presented evidence appeared to be enthusiasts. The majority of presentations suggested that previous research has overestimated the health risks of e-cigarettes by using inappropriate methods such as testing the toxicants produced from vaping using temperatures which are not used by vapers. 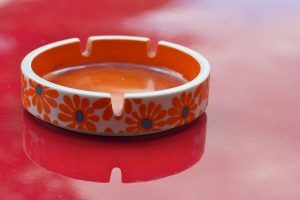 Recently, Dr Konstantinos Farsalinos and his team have attempted to replicate such findings with maximum temperatures used by vapers and are yet to find evidence that supports the previous findings. Dual use was also a common theme in the presentations; dual use is the use of e-cigarettes alongside smoking (or other tobacco product use depending on the definition used). However, as Dr Andrea Villanti pointed out, context is key when researching dual use; two people defined as dual users may be extremely different. For example, one dual user may smoke one cigarette a week and vape daily and another may vape once a week and smoke 20 cigarettes a day. With this in mind, Dr Robin Mermelstein’s research focussed on dual users and found that common reasons for using e-cigarettes were using e-cigarettes as a substitute for cigarettes, to cut down their cigarette consumption, to curb their cravings in places they were not allowed to smoke and because they were trying to quit smoking. Professor Linda Bauld provided evidence that public health messages can impact the effectiveness of e-cigarettes as a smoking cessation tool. In the UK, there is generally a positive stance taken towards the use of e-cigarettes for smoking cessation among the public health community, however this stance has not been adopted in the US. It was suggested numerous times that consensus among the public health community could help smokers to quit and could help the medical community to provide accurate advice. New regulations for e-cigarettes are being proposed for the US in the Cole-Bishop proposal. Under these regulations, the e-cigarette market would essentially be frozen, preventing improvements to devices in safety and efficacy according to Deborah Arnott. However, Matthew Myers would disagree and sees flexibility in the FDA regulations which he believes are absolutely necessary. Overall, the summit was extremely informative and highlighted the need to clearly communicate the findings of well-designed research to the public in order to maximise the potential for reducing smoking rates with use of e-cigarettes. On the 17th November I attended the E-cigarette Summit 2016 at the Royal Society in London. The summit brought together researchers, policy-makers, smoking cessation services and industry members to hear about the latest research, developments and challenges in the e-cigarette domain. One point which was raised on multiple occasions was that good communication of the research into e-cigarettes is key to the public understanding the risks and benefits of e-cigarette use. Unfortunately, the consensus was that the communication of e-cigarette research to the public is poor. Astonishingly, one speaker commented that someone had asked their daughter: “Is your dad still selling e-cigarettes and killing people?” This demonstrates how badly e-cigarettes have been portrayed, despite general consensus that they are much less harmful than cigarettes. Researchers are trying to communicate their research but face hurdles; some journals may be less likely to publish articles that are positive about vaping, meaning that it is harder to publish evidence that vaping is not as bad for you as cigarettes. The media are also hampering researchers’ efforts as they prefer stories which are anti-vaping and sometimes draw inaccurate conclusions from the evidence, which makes for more interesting stories. However, effective communication of the research is possible: Professor Peter Hajek and Dr Alex Freeman provided some useful advice to researchers which included not inferring human risks from animal studies, ensuring risks are directly compared to those of smoking, being a trustworthy source by being competent, honest and reliable, and providing neutral information without recommendations allowing the public to make their own informed decisions. Communication of the benefits and risks of e-cigarettes isn’t limited to publications and the media; doctors are being asked about e-cigarettes by patients. Despite the evidence that the research community has provided that e-cigarettes are less harmful than cigarettes, the British Medical Association are yet to update their guidelines to encourage smokers to switch to e-cigarettes. There seemed to be apprehension stemming from the lack of known long-term effects, despite the fact that we know there are vastly fewer and reduced amounts of toxicants in e-cigarettes compared to cigarettes meaning the likelihood of long-term effects as bad as or worse than smoking are extremely unlikely. Many new studies were presented but the study that really caught my attention was discussed by Dr Lynne Dawkins. Lynne provided evidence for increased puffing behavior when participants are given lower doses of nicotine in their e-cigarettes . She concluded that inhaling more vapour to receive the same amount of nicotine exposes vapers to unnecessary amounts of toxicants. This is very topical as the regulations set out by the Tobacco Products Directive (TPD) which will be fully implemented by May 2017 limit doses to 20 mg/mL meaning that some higher dosage (36 mg/mL) users may expose themselves to extra toxicants to receive the levels of nicotine they need when the higher dosage product become unavailable in the next six months. The TPD provides some form of regulation for e-cigarette manufacturers and distributors. The inclusion of e-cigarettes in the TPD was controversial due to e-cigarettes not containing tobacco and the restrictive nature of the regulations which were seen as unnecessary by some users and industry members. Part of the regulations included the thorough testing of e-cigarette products to ensure they were safe and the publication of the contents (including toxicants) so that the public could make informed decisions. To my dismay, I was informed that the information submitted by the e-cigarette companies so far will not be made publically accessible for roughly six months due to a system error. I was also informed that compliance with the regulations was low and that age of sale restrictions in particular did not seem to be being enforced. The system and enforcement of the TPD in relation to e-cigarettes needs improving so that consumers can access the information which the TPD states they should have access to and to protect young people whose brain development may be adversely affected by consuming nicotine. 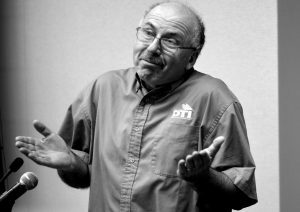 As restrictive as the TPD is, new products are still being developed. A new type of e-cigarette is emerging onto the market called pods. 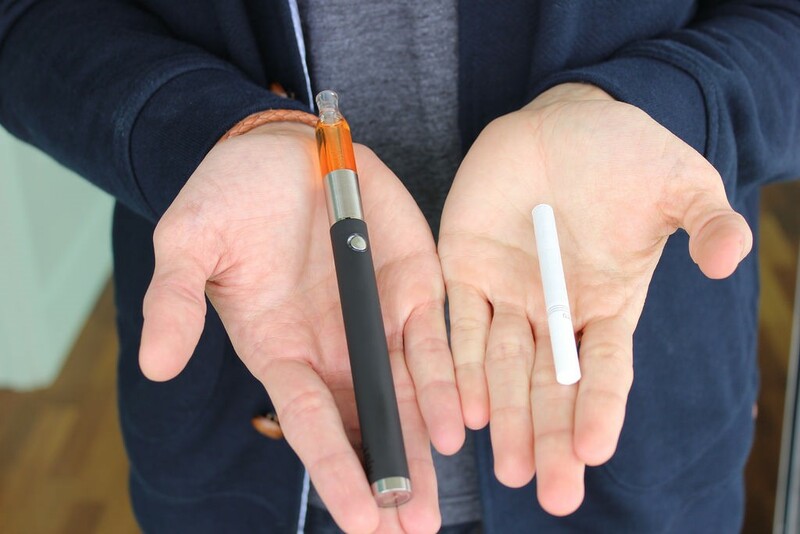 These devices are small and similar in size to older less effective designs of e-cigarettes (cigalikes) but have the power and nicotine delivery of the newer more effective tank systems. The sleek, compact designs combined with the improved nicotine delivery systems which prevent overheating (which is associated with harmful byproducts such as formaldehyde) are likely to be very popular. These systems can also record information on how the devices are used (how long individuals puff for and how many puffs they take etc.) which could provide essential information to researchers on how e-cigarettes are used in real life situations. The day culminated in a key note speech by the Attorney General for Iowa, Tom Miller. He commended the UK’s focus on e-cigarette research and the general positive stance our public health officials have taken in terms of e-cigarettes. He concluded his speech by asking for help from the UK to bring the US up to the same standards. This blog originally appeared on the Mental Elf site on 12th July 2016. It’s been almost 9 years since the introduction of SmokeFree legislation in the UK (although we elves still return from a night out smelling of campfire smoke). 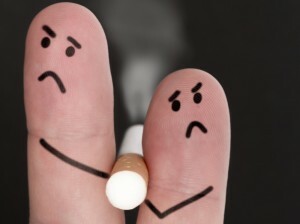 However, secondhand smoke is still accountable for 600,000 deaths annually. Smoke free policies can be implemented at the micro-level (i.e. the individual level or in homes), the meso-level (i.e. 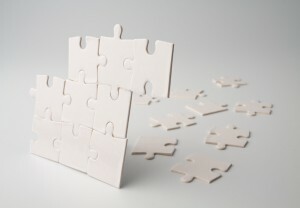 in organisations, such as public healthcare facilities, higher education centres and prisons) or the macro-level (i.e. in an entire country). 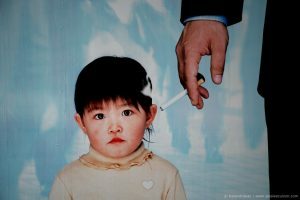 In many countries, smokefree legislation is at the macro-level, although exemptions exist at the meso-level. For example, in the UK, specific rooms in prisons and care homes are exempt from this legislation. 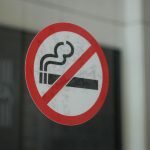 In their Cochrane review, Frazer and colleagues review the evidence for meso-level smoking bans (in venues not typically included in smokefree legislation) on 1) passive smoke exposure, 2) other health-related outcomes and 3) active smoking, including tobacco consumption and smoking prevalence. Worldwide, secondhand smoke is still accountable for 600,000 deaths annually. Secondary outcomes: tobacco consumption and smoking prevalence. 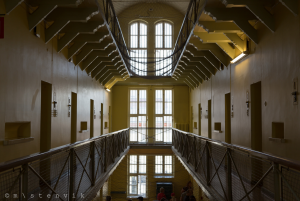 The introduction of smoking bans in psychiatric hospitals and prisons is extremely controversial. Five studies investigated the impact of smoking bans on two participant groups (i.e. staff and either patients or prisoners). The 17 studies were conducted in 8 countries: the USA (6 studies), Spain (3 studies), Switzerland (3 studies), Australia, Canada, Croatia, Ireland and Japan (all 1 study). Eight of these were conducted in US states or countries with macro-level (i.e. national) smoke-free legislation, eight with no legislative bans and one which compared all 50 US states (some with national bans and others without). Four studies assessed secondhand smoke exposure, finding that a reduction in exposure was observed in all three settings after smoking bans. However, none of the studies in the review used a biochemically validated measure of smoke exposure such as cotinine or carbon monoxide levels. Four studies examined the impact of partial or complete smoking bans on health outcomes including smoking-related mortality. Two were conducted in prisons, one in a hospital and one in a secure mental hospital (Etter et al, 2007). All of these studies observed improvements in smoking-related morbidity and mortality after smoking bans. One of these assessed the impact of smoking bans in prisons in all 50 US states and found that smoking-related mortality was reduced in those prisons that had a smoking ban for more than 9 years. Thirteen studies reported data on the effect of smoking bans on smoking prevalence and five of these reported data on two populations within settings (i.e. prisoners and prison staff). Eleven of these studies were included in a meta-analysis (using the Mantel-Haenszel fixed-effect method) and the data from the 12,485 participants in these studies was pooled. Although there was considerable heterogeneity between these studies (I2 = 72%; where a higher I2 value is evidence of higher levels of heterogeneity), this heterogeneity was lower within subgroups (e.g. in prisoners or hospital staff). Ten studies conducted in hospital settings found mixed evidence for the impact of smoking bans on smoking prevalence. Eight of these studies were included in the meta-analysis and there was evidence that smoking bans reduced active smoking rates among hospital staff (risk ratio (RR) 0.71, 95% confidence interval (CI) 0.64 to 0.78, n = 4,544, I2 = 76%) and patients (RR 0.84, CI 0.76 to 0.98, n = 1442, I2 = 20%). The one study in a prison setting found no evidence of a change in smoking prevalence among staff or prisoners after a smoking ban (RR 0.99, CI 0.84 to 1.16, n = 130). Two studies in university settings observed reductions in smoking prevalence after smoking bans (RR 0.72, CI 0.64 to 0.80, n = 6,369, I2 = 59%), although one study only observed this among male ‘frequent’ smokers. The evidence was judged to be of low quality as all of the studies wereobservational (none used a RCT design) and the risk of bias was rated as high. Banning smoking in hospitals and universities increased the number of smoking quit attempts and reduced the number of people smoking. reduced mortality and exposure to secondhand smoke in hospitals, universities and prisons. The quality of the evidence was low and the authors conclude that ‘we therefore need more robust studies assessing evidence for smoking bans and policies in these important specialist settings’. Limitations with the studies included in the review include: small sample sizes in some studies, a lack of a control location for comparison in all but three studies and a high level of heterogeneity between and within the different settings (e.g. the hospital settings included a cancer hospital, psychiatric hospitals and general hospitals). We need more robust studies assessing the evidence for smoking bans and policies in specialist settings. The authors report that given this evidence, smoking bans at the meso-level should be considered as part of multifactorial tobacco control activities to reduce secondhand smoke exposure and smoking prevalence. Given that the introduction of these bans particularly in psychiatric hospitals and prisons is controversial, the introduction of these bans should be sensitive to the needs of populations. For example, bans in psychiatric hospitals should be implemented in consultation with psychiatrists to ensure that the improved health outcomes of patients is considered first and foremost. As the evidence is currently weak, with a high risk of bias, any interventions should be closely monitored. More robust studies are needed, using a control group for comparison, assessing smoke exposure using biochemically validated measures, using long-term follow-ups of at least 6 months and reporting smoking prevalence both before and after the introduction of the ban. It is not possible to draw firm conclusions about institutional smoking bans from the current evidence. Frazer K, McHugh J, Callinan JE, Kelleher C. (2016) Impact of institutional smoking bans on reducing harms and secondhand smoke exposure. Cochrane Database of Systematic Reviews 2016, Issue 5. Art. No. : CD011856. DOI: 10.1002/14651858.CD011856.pub2. This blog originally appeared on the Mental Elf site on 25th April 2016. Although many women spontaneously quit smoking when they find out they’re pregnant, approximately 11% of women in the UK continue to smoke during their pregnancy. The health implications of this are estimated to amount to an annual economic burden of approximately £23.5 million. The NHS Stop Smoking Service provides support for pregnant women to quit smoking during their pregnancy at an annual cost of over £5 million (or £235 per successful quitter). However, despite successful smoking abstinence during pregnancy using this service, many women restart smoking after giving birth (i.e. postpartum), increasing their risk of smoking related diseases and their offspring’s risk of passive smoking and becoming smokers themselves. Jones and colleagues conducted a systematic review and meta-analysis to investigate just how high the rates of restarting smoking postpartum are among those women who have received support to quit smoking during their pregnancy. The NHS Stop Smoking Service costs over £5 million every year, but 11% of women in the UK continue to smoke during their pregnancy. Outcome measures were continuous abstinence from the end of pregnancy to at least one postpartum follow-up, or 7-day point prevalence abstinence (i.e. not smoking for the past 7 days) at both the end of pregnancy and at least one postpartum follow-up. Where biochemically validated abstinence was not available, self-reported abstinence was accepted. Longitudinally collected continuous abstinence data, among those women who reported abstinence at the end of their pregnancy and were in the intervention condition (i.e. had received Stop Smoking Service support). The overall rates of smoking prevalence (using point-prevalence data) following childbirth across all women. 20 studies were randomised controlled trials (RCTs) with individual randomisation, 5 were cluster randomised and 2 were quasi-randomised. There was evidence of publication bias. The primary analysis only included those 11 studies reporting continuous abstinence, including a total of 571 women who reported being abstinent at the end of their pregnancy. By 6 months postpartum, 43% (95% CI = 16 to 72%, I2 = 96.7%) of these women had restarted smoking. The subgroup analysis of those studies using biochemically validated abstinence measures included only 6 studies and found that by 6 months 74% of women (95% CI = 64 to 82%) had restarted smoking. The secondary analysis only included those 23 studies reporting point-prevalence abstinence, including a total of 9,262 women. At the end of pregnancy, 87% (95% CI = 84 to 90%, I2 = 93.2%) of women were smoking and at 6 months this was 94% (95% CI = 92 to 96%, I2 = 88.0%). The 17 studies using biochemically validated abstinence observed rates of smoking at the end of pregnancy of 89% (95% CI = 86 to 91%, I2 = 91.2%) and 96% at 6 months postpartum (95% CI = 92 to 99%, I2 = 70.7%). Using these cross-sectional point-prevalence data, it is also possible to estimate the proportion of women restarting smoking postpartum. These data suggest that 13% of women were abstinent at the end of their pregnancy, but only 6% were abstinent at 6 months, which is equivalent to 54% restarting smoking postpartum. In clinical trials of smoking cessation interventions during pregnancy, only 13% of female smokers are abstinent at term. Most pregnant smokers do not achieve abstinence from smoking while they are pregnant, and among those that do, most will re-start smoking within 6 months of childbirth. They also note that this means that the considerable expenditure by NHS Stop Smoking Services to help pregnant women quit smoking is not having as big an impact on improving the health of women and their offspring as it might. Only a few studies reported longitudinal continuous abstinence data, restricting the amount of data which could be included in the primary analysis. This is the first study to systematically investigate the rate of restarting smoking postpartum and provide data on the effectiveness of the Stop Smoking Services provided to pregnant women. Using continuous postpartum abstinence rates, 43% of women who had received a smoking cessation intervention and were abstinent at the end of their pregnancy had restarted smoking after 6 months. Using data from the cross-sectional point-prevalence data, a similar rate of restarting was observed. These results are generalisable to those pregnant women who seek support from Stop Smoking Services. Although no reviews have investigated the rates of restarting smoking among those women who spontaneously quit smoking during their pregnancy, individual studies suggest that the rates are broadly similar at between 46 and 76%. Nearly half (43%) of the women who do stop smoking during their pregnancy, re-start smoking within 6 months of childbirth. Jones M, Lewis S, Parrott S, Wormall S, Coleman T. (2016) Re-starting smoking in the postpartum period after receiving a smoking cessation intervention: a systematic review. Addiction, doi: 10.1111/add.13309. E-cigarettes have become a popular product among smokers and ex-smokers, and Action on Smoking and Health (ASH) estimates that there are 2.6 million current users of e-cigarettes in the UK. As an alternative to tobacco smoking, research commissioned by Public Health England estimates that e-cigarettes are likely to be roughly 95% less harmful. The evidence supporting these popular and effective quitting aids suggests that e-cigarettes could be a powerful tool for harm reduction amongst current smokers but there is still uncertainty over the safety of e-cigarettes. Limited research concerning the effects of long-term use and the current lack of strict regulation of the products has fuelled this uncertainty but new regulations have been introduced into the pre-existing European Tobacco Products Directive (TPD) to rectify this. The updated TPD will come into force on 20th May 2016 with a transitional period allowed by the TPD. UK e-cigarettes and refill containers which are not in compliance with the TPD will be allowed to be released for sale on the UK market until 20th November 2016, but from 20th May 2017 all products sold to consumers will need to be fully compliant with the TPD. The alternative to following the regulations set by the TPD will be for e-cigarettes to gain a medical licence from the Medicines and Healthcare products Regulatory Agency (MHRA) and be regulated as licenced medicinal products to be sold in the UK. As I am about to commence a PhD investigating the reasons for e-cigarette use, I am interested in what the implications of the directive will be in the UK; will it encourage smokers to switch to e-cigarettes, consequently reducing harm to themselves and others, or will it result in a reduction of available products and cause an increase in relapses to smoking? I have read the directive and listed some of the key changes that will happen and added my own thoughts on what may happen as a result. CHANGE: New e-cigarette products must be notified to the MHRA six months before their release to the public. E-cigarette companies will be charged £150 to notify MHRA of a new product and £80 for a modification to an existing product, and will then be charged £60 annually thereafter. POSSIBLE OUTCOMES: The MHRA should have more control over the products on the market and be able to prevent unsafe products entering the market but it may take longer for new products to become available to buy. Additionally, some existing products will be unavailable from 20th May 2017 if they do not to comply with the regulations by 20th November 2016. CHANGE: Under the TPD, e-liquids will only be allowed where the nicotine concentration does not exceed 20 mg of nicotine per ml of liquid. E-liquids containing more than 20 mg of nicotine per ml of liquid will have to gain a medical licence authorised by the MHRA. POSSIBLE OUTCOMES: People may reduce their doses of nicotine and reduce their addiction if their preferred dosage is no longer available. Fewer high dosage products may be available as gaining a medical licence is an expensive process (estimated between £87,000 and £266,000 annually over ten years for a single device). When current products with high dosages such as 36 mg of nicotine per ml of liquid become unavailable, people may use lower dosages such as 20 mg of nicotine per ml of liquid as a substitute and inhale twice as much vapour to get the same nicotine hit. Nicotine is not the only constituent of vapour though; there are low concentrations of other toxicants, so inhaling more vapour means inhaling more toxicants. Alternatively, current higher dosage users may relapse to tobacco smoking if they feel the lower dosages do not effectively deliver the nicotine hit they need. CHANGE: Products regulated under the TPD must provide information to the MHRA on the safety and contents of e-cigarette products (including ingredients, toxicants and emissions). 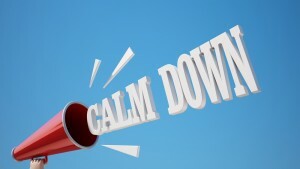 Health warnings, instructions for use, information on addictiveness and toxicity must also appear on the packaging and accompanying information leaflet. POSSIBLE OUTCOMES: This should allow e-cigarette users to make informed choices. The notification fees mentioned above will include the storage of this information but the companies may have to bear extra costs in testing their products for the amount of toxicants and emissions produced. These tests will have to comply with the standards set in the TPD and by the MHRA which may prove too costly for smaller e-cigarette companies, forcing them to withdraw products from the market. This could leave the market open to the tobacco industry who generally have greater financial resources available to them. The tobacco industry have to also sustain the tobacco market; a consequence of this may be the deliberate placement of ineffective e-cigarette products on the market to encourage current smokers continue to smoke tobacco and ex-smokers using e-cigarettes relapse. CHANGE: E-cigarette products will be child-safe, will not break or leak during the refill process, and containers will not exceed 10 ml (refill cartridges will not exceed 2 ml). POSSIBLE OUTCOMES: This should prevent accidents involving children consuming dangerous levels of nicotine. Most changes will be made to newer devices, which require e-liquid refills. If these modifications aren’t made by 20th November 2016 the products will be removed from the market by 20th May 2017. CHANGE: Under the TPD, cross-border advertising will be banned, which includes in newspapers, radio and TV, but not on billboards and posters. Products will not be allowed to make smoking cessation or health claims. Advertising of products with a medicinal license will be allowed under “over the counter” medicine rules. POSSIBLE OUTCOMES: This should minimise the amount of e-cigarette advertising seen by those who should not use e-cigarettes such as children and non-smokers. However, only e-cigarette companies who can afford a medical licence will be able to advertise on TV and this could mislead people into thinking that these products are more effective than other products. A possible outcome for many of these changes is the loss of products from the market because of non-compliance with the regulations. 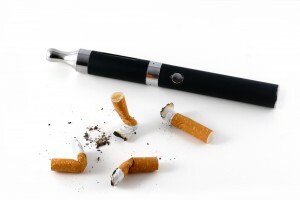 Although increased reassurance that e-cigarettes on the market meet certain quality standards may encourage new users, the removal of any e-cigarette product from the market will provide an opportunity for e-cigarette users to relapse to smoking; without their favourite brand or flavour, it may be easier for them to resume smoking again than to find a replacement that suits their needs and taste. 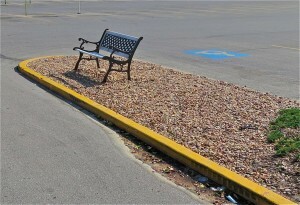 This in turn could lead to increased levels of smoking, and therefore harms to both individuals and society as a whole. Additionally, high nicotine dosage e-cigarette users may be encouraged to inhale more vapour and therefore unnecessary amounts of other constituents. However, recent preliminary research findings from ASH UK suggest there are few high dosage users meaning that this should not affect many. The withdrawal of products is likely to be determined by the cost of making products compliant. Tobacco companies generally have greater financial resources than e-cigarette companies, with the top companies making billions in profit each year, meaning they can afford to make the necessary changes to meet the new regulations. The few e-cigarette companies that are owned by tobacco companies mainly produce ‘cigalikes’ which are the least effective design of e-cigarettes and there is a higher chance of relapsing to smoking when using them compared to later-generation devices. Given that the tobacco-owned e-cigarette companies will probably have greater resources available to them, they could end up with a monopoly on the e-cigarette industry. In fact, this may already be happening; the first medically licensed e-cigarette is a ‘cigalike’ owned by British American Tobacco. This means British American Tobacco could own the only TV-advertised e-cigarette (until another company gains a licence). Consequently, smokers looking to try e-cigarettes may choose less effective devices because they are more widely advertised. These changes may reassure the general public that the devices will be safe but may lead to many ex-smokers relapsing because they are forced to use e-cigarettes and e-liquids that do not meet their needs, all the while lining the pockets of the tobacco industry by allowing them a monopoly on higher nicotine dosage products. Of course, the possible outcomes stated here are speculative; research will need to be undertaken to evaluate the ongoing impact of the new guidelines. 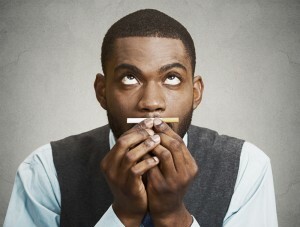 Smoking and chronic mental illness: what’s the best way to quit or cut down? This blog originally appeared on the Mental Elf site on 11th December 2015. Smoking rates in the US and UK are 2-4 times higher in people with mental illnesses compared to those without (Lasser at al., 2000; Lawerence et al., 2009). What’s more, smokers suffering from mental illness have higher nicotine dependence and lower quit rates (Smith et al.,2014; Weinberger et al., 2012; Cook et al 2014). About half of deaths in people with chronic mental illness are due to tobacco related conditions (Callaghan et al., 2014; Kelly et al 2011). A new ‘state of the art’ review in the BMJ by Tidey and Miller (2015) is therefore much needed, focusing as it does on the treatments currently available for smoking and chronic mental illness, such as schizophrenia, unipolar depression, bipolar depression, anxiety disorders and post-traumatic stress disorder (PTSD). 42% of all cigarettes smoked in England are consumed by people with mental health problems. Tidey and Miller (2015) identified studies by searching keywords in PubMed and Science Direct, using relevant guidelines, reviews and meta-analyses, and data from the authors’ own files. Two authors reviewed the references and relevant studies were chosen and summarised. Only peer-reviewed articles published in English were reviewed. It’s important to stress that this was not a systematic review, so the included studies were not graded, but simply summarised with a particular focus on outcomes. BMJ State of the Art reviews are not systematic reviews, so are susceptible to the same biases as other literature reviews or expert opinion pieces. Overall, in studies of NRT with psychosocial treatment (such as CBT) 13% of smokers with schizophrenia averaged 6 to 12 month quit rates. Additionally, those continuing to receive NRT had reduced relapse rates. Studies investigating bupropion in smokers with schizophrenia found initial abstinence, but were followed by high relapse rates with treatment discontinuation, suggesting the need for longer treatment duration. One study found bupropion coupled with NRT and CBT reduced relapse rates. Studies investigating varenicline in smokers with schizophrenia achieved abstinence at the end of the trial (compared to placebo), but not at 12-month follow up. One study found varenicline and CBT had higher abstinence rates at 52 weeks (compared to controls). Psychiatric side effects reported did not differ between groups, suggesting varenicline is well tolerated in schizophrenia. Studies investigating psychosocial treatments in smokers with schizophrenia were varied. Studies implementing CBT displayed high continuous abstinence, and those receiving motivational interviewing were more likely to seek treatment. However, in contingency management trials (receiving monetary reward for abstinence) it appeared individuals might only be staying abstinent long enough for their reward, therefore longer trials are needed. One (uncontrolled) study provided e-cigarettes for 52 weeks to smokers with schizophrenia, finding half reduced their smoking by 50% and 14% quit. None of the participants were seeking treatment for cessation at the start of the trial, suggesting a need for further RCTs of e-cigarettes in smokers with schizophrenia. The Mental Elf looks forward to reporting on RCTs of e-cigarettes in smokers with schizophrenia. A review of the cessation treatments available to smokers with unipolar depression found little differences in outcomes between individuals with and without depression. However, women with depression were associated with poorer outcomes. Previous studies indicate bupropion, nortriptyline, and NTR with mood management all effective in smokers with depression. Additionally, a long-term study of varenicline displayed continuous abstinence up to 52 weeks without any additional psychiatric side effects. Few studies investigated cessation treatments in smokers with bipolar depression; two small-scale studies of bupropion and varenicline indicated positive results. However a long-term varenicline study found increased abstinence rates at the end of the trial, but not at 6 month follow-up. Some individuals taking varenicline reported suicidal ideation, but this did not differ from the control group. An analysis investigating both monotherapy and combination psychotherapies found anxiety disorders to predict poor outcomes at follow-up. Despite combination psychotherapy doubling the likelihood of abstinence in non-anxious smokers, neither monotherapy or combination therapy were more effective than placebo in smokers with a lifetime anxiety disorder. However, unipolar and bipolar only touched on pharmaceutical treatments. Studies investigating cessation in PTSD sufferers found higher abstinence rates in integrative care treatment, in which cessation treatment is integrated into pre-existing mental healthcare where therapeutic relationships and a set schedule already exist. A pilot study investigating integrative care with bupropion found increased abstinence at 6 months. However, a contingency management trial found no differences between controls, although it’s possible this was due to small numbers. Standard treatments to help people quit smoking are safe and effective for those of us with mental illness. Clinical practice should prioritise cessation treatments for individuals suffering mental illnesses, in order to protect against the high rates of tobacco related death and disease in this population. This review shows that smokers with mental illness are able to make successful quit attempts using standard cessation approaches, with little adverse effects. Several studies suggested bupropion and varenicline effective in schizophrenia, and varenicline in unipolar and bipolar depression. However, it should be noted, these studies only investigated long-term depression, not situational depression. Furthermore, all the participants in the studies reviewed were in stable condition, therefore it’s possible outcomes may be different when patients are not as stable. Individuals whom are not stable will have additional psychiatric challenges, may less likely to stick with their treatment regime, and may be more sensitive to relapse. It should be noted that this was a ‘state of the art’ review, rather than a systematic review or meta-analysis. Therefore- as all literary reviews-it’s subject to bias and limitations, with possible exclusion of evidence, inclusion of unreliable evidence, or not being as comprehensive as if this were a meta analysed. For example, some of the author’s own files are used along side the literary search, but (presumably unpublished) data from other researchers are not sought out or included. Many of the studies included differed in design (some placebo controlled, some compared against a different active treatment ect.) therefore caution should be taken when drawing comparisons across studies. Additionally, some sections appeared to be much more thorough than others. For example, schizophrenia is covered extensively, including NTR, psychosocial, and pharmaceutical approaches. While all anxiety disorders appeared to be gaped together as one (as opposed to looking at social anxiety, GAD, or panic disorder) and were not explored in detail, drawing little possible treatment conclusions. Finally, this was great literary review, which provided much information, but at times it did feel a bit overwhelming to read and difficult to identify the key information from each sections. Service users who smoke are being increasingly marginalised, so practical evidence-based information to support quit attempts at the right time is urgently needed. 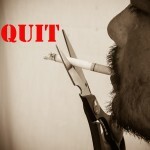 Posted in Mental elf, ResearchTagged Meg Fluharty, Mental health, Smoking, Smoking cessationLeave a Comment on Smoking and chronic mental illness: what’s the best way to quit or cut down? This blog originally appeared on the Mental Elf site on 18th May 2015. One in three people with mental health illnesses in the UK smoke, as compared with one in five of the general population. In addition, smokers with mental illnesses smoke more heavily, are more dependent on nicotine and are less likely to be given help to quit smoking. As a result, they are more likely to suffer from smoking-related diseases, and on average die 12-15 years earlier than the general population. Since July 2008, mental health facilities in England have had indoor smoking bans. However, NICE guidelines recommend that all NHS sites, including psychiatric hospitals become completely smoke-free, a recommendation previously examined by the Mental Elf. People with mental illness cannot quit smoking. Smoking cessation should be a high priority, given that mental health patients are much more likely to die from tobacco-related disease than mental illness. These are interesting and important arguments and more evidence surrounding them is also available here (Prochaska, 2010). However, in this blog post I focus on ‘myths’ 4 and 5, drawing on a recent systematic review investigating the impact of a smoke-free psychiatric hospitalisation on patients’ motivations to quit (myth 4) and smoking behavior (myth 5) (Stockings et al., 2014). Stockings and colleagues searched for studies examining changes in patients’ smoking-related behaviours, motivation and beliefs either during or following an admission to an adult inpatient psychiatric facility. Fourteen studies matched these inclusion criteria, two of which were conducted in the UK. The majority of the studies used a cross-sectional design and none were randomised controlled trials. The studies were all quite different, with the number of participants ranging from 15-467 and the length of admission ranging from 1-990 days. Crucially, the type of smoking ban varied considerably between the studies, so I’ll consider these separately. Six studies were conducted in facilities with complete bans. All of these offered nicotine dependence treatment, including nicotine replacement therapy (NRT) or brief advice. Only one of these statistically assessed smoking behaviour, finding that cigarette consumption was lower during admission compared with prior to admission. Three studies assessed smoking behaviour after discharge, finding that the majority of patients resumed smoking within five days. However, there was some evidence from the two larger studies that smoking prevalence was still lower at two weeks and three months post-discharge compared with prior to admission. The one study to statistically assess smoking-related beliefs and motivations found that patients expected to be more successful at quitting following discharge compared with at admission. Higher doses of NRT were related to higher expectations of success. 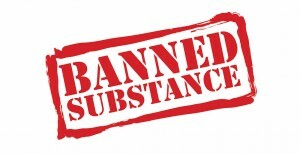 Eight studies were conducted in facilities with incomplete bans. Only one of these statistically assessed smoking behaviour, finding that quit attempts increased from 2.2% when smoking was permitted in specific rooms, to 18.4% after the ban. One study that assessed smoking prevalence post-discharge found that all participants (n = 15) resumed smoking. One study found that participants expected to be more successful in smoking cessation post-discharge as compared with at admission. There were mixed results among the two studies which assessed smoking prevalence during admission. Compared with at admission, there was some evidence of increased motivation to quit smoking. Motivation to quit was lower at discharge compared with at admission. 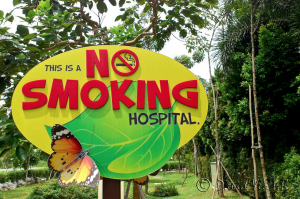 Smoke-free psychiatric hospitalisation may have the potential to impact positively on patients’ smoking behaviours and on smoking-related motivation and beliefs. Inconsistent provision of nicotine dependence treatment. These key differences and limitations prevented statistical examination of the results as a whole. This means that making firm conclusions is difficult. There is clearly a need for more research in this area. There is evidence that people with mental illnesses are interested in quitting smoking (myth 4) and that they are able to (myth 5). However, we still need more studies to examine these questions with well-powered (i.e. large sample sizes), high-quality (i.e., experimental) research designs. The evidence presented in this systematic review suggests that complete bans are the most effective at encouraging smoking cessation and that the provision of nicotine dependence treatment, such as NRT or brief advice, is also crucial. Although a handful of the studies assessed smoking behaviour after discharge, none of the facilities viewed this as an important outcome. Given the high level of smoking-related disease among those with mental health illnesses, ensuring that individuals remain abstinent from smoking after discharge is important for the continuing good health of these individuals. Importantly, none of the studies in this review explored the impact of smoke-free legislation on mental health outcomes. Although the evidence suggests that smoking cessation actually improves mental health outcomes, future research should continue to examine this relationship. Do you have a mental health illness yourself, or support someone who does? 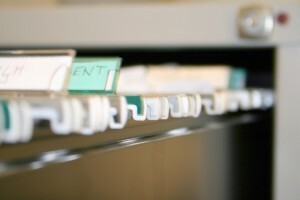 Do you work with people with mental health illnesses? 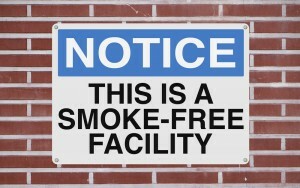 Should psychiatric hospitals become smoke-free? This blog originally appeared on the Mental Elf site on 14th May 2015. People with schizophrenia have a considerable reduction in life expectancy compared to the general population (Osborn et al 2007; Lawrence et al 2013). A number of factors lead to cardiovascular disease (Osborn et al 2007; Lawrence et al 2013; Nielsen et al, 2010) one of which is smoking.People with schizophrenia smoke at much higher rates and more heavily than the general population (Ruther et al 2014, Hartz et al 2014).Stubbs et al (2015) carried out a review to assess the current cessation interventions available for individuals with serious mental illnesses and establish if any disparities currently lie in the delivery of these interventions. Studies were eligible if they included individuals with a DSM or ICD-10 diagnosis of schizophrenia and reported a cessation intervention. The authors included both observational and intervention studies as well as systematic-reviews and meta-analyses. The evidence suggests Bupropion (Zyban) is an appropriate aid for smoking cessation, and there has been no data supporting concerns of worsening in psychiatric symptoms or suicide risk. The evidence for E-cigarettes was inconsistent, with the authors concluding more evidence was needed before clinicians consider e-cigarettes within mental health settings. Additionally, e-cigarette use in people with schizophrenia should have side effects monitored closely. There was little research on exercise in schizophrenia, but one study found a reduction in tobacco consumption. Behavioural approaches such as offering smoking cessation advice alongside pharmacotherapy have been found successful with no harmful side effects. An investigation of GP practices found individuals with schizophrenia did not receive smoking cessation interventions proportional to their needs. People with serious mental illnesses experience more severe withdrawal symptoms compared to the general population, and therefore should be given extra support during cessation attempts (Ruther et al 2014). Psychiatrists should re-evaluate choice and the dose of antipsychotic medicine being given after abstinence from smoking is achieved. This is because of nicotine’s metabolic influence on antipsychotic medicine. Alongside smoking cessation, exercise should be promoted among people with schizophrenia to combat weight gain and the increased metabolic risk. Patients’ current smoking status, nicotine dependency, and previous quit attempts should be assessed. Assessing nicotine dependency will help predict the level of withdrawal symptoms the patient is likely to experience upon quitting. Cessation attempts are best timed when the patient is stable. Patients should be thoroughly advised on the process needed to give them the best chance of quitting smoking, Thus, allowing the patient to formulate their quit plan and take ownership of their own quit attempt. Cessation counselling should be provided, particularly what to expect with withdrawal symptoms (e.g. depression and restlessness) and how to cope. Pharmacological support should be provided (Bupropion recommended) when there is even mild tobacco dependence. Clinicians should carefully monitor patients’ medication and fluxions in weight for a minimum of 6 months after quitting smoking, and when needed recommended exercise to combat weight gain. The authors provide a well laid out summary of their findings, alongside some excellent suggestions for clinicians to consider on how to best promote cessation in practice. However, it should be stressed that Stubbs et al (2015) only searched for high qualities studies and provided an overview of them – this is not a systematic review or meta-analysis. They included several types of studies, set little inclusion criteria and listed no exclusion criteria. This is quite different from a systematic review with a meta-analysis, which would set stricter predefined search and eligibility criteria, which identify a set of studies all tackling the same question, thus allowing for the statistical pooling and comparison of these studies. Osborn DPJ, Levy G, Nazareth I, Petersen I, Islam A, King MB. Relative risk of cardiovascular and cancer mortality in people with severe mental illness from the United Kingdom’s General Practice Research Database. Arch Gen Psychiatry 2007;64:242–249. Lawrence D, Hancock KJ, Kisely S. The gap in life expectancy from preventable physical illness in psychi- atric patients in Western Australia: retrospective analysis of population based registers. BMJ 2013;346: f2539-f.
Hartz SM, Pato CN, Medeiros H et al. Comorbidity of severe psychotic disorders with measures of substance use. JAMA Psychiatry 2014;71:248–254. This blog originally appeared on the Mental Elf site on 30th April 2015. Both pharmacological (i.e. bupropion and varenicline) and non-pharmacological (i.e. 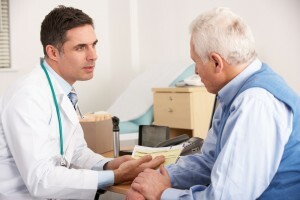 brief advice from physicians) interventions have been shown to be effective in assisting people to stop smoking. 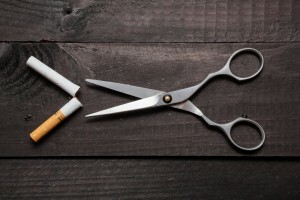 Evidence also suggests that combining both these types of interventions can help people to stop smoking and both are considered equally important in quitting success. Motivational interviewing (MI) is a counselling-based intervention which focusses on encouraging behaviour change by helping people to explore and resolve their uncertainties about changing their behaviour. MI avoids an aggressive or confrontational approach and aims to increase the self-belief of the individual. MI was initially developed to treat alcohol abuse, but may be helpful in encouraging smoking cessation. In a recent Cochrane systematic review, Lindson-Hawley and colleagues from the Cochrane Tobacco Addiction Group aimed to determine whether or not MI is an effective method of smoking cessation (Lindson-Hawley et al, 2015). Smoking abstinence was reported at least 6 months after the start of the programme. The main outcome measure was smoking abstinence, using the most rigorous definition of abstinence for each study. Biochemically-validated measures of abstinence (i.e., carbon monoxide breath testing or saliva cotinine samples) were also used where available. Those participants lost to follow-up were considered to be continuing to smoke. Results across studies were combined in a meta-analysis. Twenty eight studies published between 1997 and 2014 were found to match the strict inclusion criteria. A modest (26%) increase in quitting among those receiving MI as compared with control (although the true value is likely to lie between 16-36%). 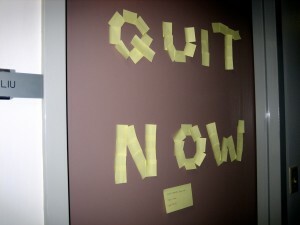 Shorter sessions (less than 20 minutes) increased the chances of quitting relative to control by 69%, as compared with longer sessions, which only increased the chances of quitting by 20%. There was little difference in the likelihood of quitting between single MI sessions (26%) and multiple sessions (20%) as compared with control. There was little difference between MI delivered face-to-face as compared with via the telephone only. There was no evidence for a difference for MI delivered to smokers who were motivated to quit as compared with those with low levels of motivation. This review adds 14 additional studies to a previous review conducted in 2010. The addition of these new studies altered the results of the original review very little, providing strong support for the validity of these findings. 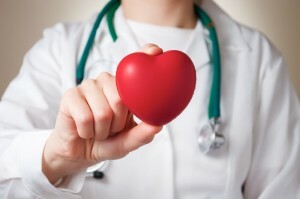 Two previous systematic reviews have also examined the effectiveness of MI for smoking cessation, observing modest positive effects of MI (Heckman et al., 2010, Hettema and Hendricks, 2010), although these studies used a broader inclusion criteria than used here and therefore may have underestimated the effects of MI. The majority of studies included in this review adequately reported their design and methods. Some studies did not report information about blinding of the outcome assessment or how participants were allocated to conditions. However, sensitivity analyses indicated that these factors did not influence the findings of the review. The authors report some evidence for publication bias, such that studies reporting a positive effect of MI were more likely to be published, potentially compromising the results of this systematic review. Eight of the 24 studies did not use biochemically-validated measures of abstinence. When analyses excluded these studies, the size of the beneficial effect of MI increased. Future research should use the biochemically-validated abstinence measures so as to ensure that smoking cessation is reliably reported. These results indicate that MI is more effective at promoting smoking cessation than usual care or brief advice, although the effect is modest. Some components of MI counselling appear to increase the effectiveness of MI for smoking cessation, including delivery by a primary care physician. The reviewers suggest that physicians may be better placed to use the MI approach given their established rapport with the patient. However, this effect is based on only two studies and therefore the importance of physician delivery should not be overstated. 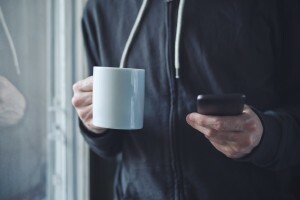 Shorter sessions and fewer follow-ups were also found to be more effective than longer sessions with more follow-up sessions. One explanation given by the authors is that a single session is enough to motivate someone to quit smoking. 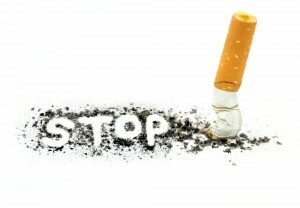 Prolonging the time before the quit date may mean participants lose focus on their goal to stop smoking. While MI seems to be effective in promoting smoking cessation, future research should continue to explore the components of MI which optimise the success of this intervention. The relationship between non-pharmacological interventions such as MI and pharmacological interventions should also be considered. 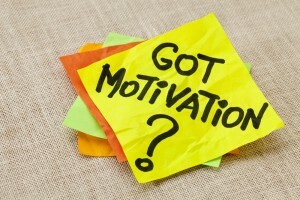 Lindson-Hawley N, Thompson TP, Begh R. Motivational interviewing for smoking cessation. Cochrane Database of Systematic Reviews 2015, Issue 3. Art. No. : CD006936. DOI: 10.1002/14651858.CD006936.pub3. Heckman, C. J., Egleston, B. L. & Hofman, M. T. (2010). Efficacy of motivational interviewing for smoking cessation: a systematic review and meta-analysis. Tobacco Control, 19, 410-416. Electronic cigarettes (e-cigarettes) are a range of products that deliver vapour which typically contains nicotine (although zero-nicotine solutions are available). 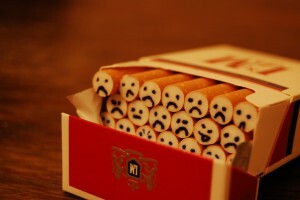 The name is misleading because some products are mechanical rather than electronic, and because they are not cigarettes. While first-generation products were designed to be visually similar to cigarettes, second- and third-generation products are visually distinctive and come in a variety of shapes and sizes. Critically, these products do not contain tobacco, and are therefore intended to deliver nicotine without the harmful constituents of tobacco smoke. There has been rapid growth in the popularity and use of e-cigarettes in recent years, accompanied by growth in their marketing. At present they are relatively unregulated in many countries, although countries are introducing various restrictions on their availability and marketing. For example, a ban on sales to under-18s will be introduced in England and Wales in 2015. These products have stimulated considerable (and often highly polarized) debate in the public health community. On the one hand, if they can support smokers in moving away from smoking they have enormous potential to reduce the harms associated with smoking. On the other hand, the quality and efficacy of these products remains largely unknown and is likely to be highly variable, and data on the long-term consequences of their use (e.g., the inhalation of propylene glycol vapour and flavourings) is lacking. There is also a concern that these products may re-normalise smoking, or act as a gateway into smoking. This study reports the results of a survey conducted by Trading Standards in the North-West of England on 14 to 17 year-old students. The survey focuses on tobacco-related behaviours, and a question on access to e-cigarettes was introduced in 2013. This enabled identification of factors associated with e-cigarette use among people under 18 years old. The study used data from the 5th Trading Standards North West Alcohol and Tobacco Survey among 14 to 17 year-olds in North-West England, conducted in 2013. The questionnaire was made available to secondary schools across the region through local authority Trading Standards departments, and delivered by teachers during normal school lessons. Compliance was not recorded, and the sample was not intended to be representative but to provide a sample from a range of communities. The survey consisted of closed, self-completed questions covering sociodemographic variables, alcohol consumption and tobacco use. There were also questions on methods of access to alcohol and tobacco, as well as involvements in violence when drunk. E-cigarette access was assessed by the question “Have you ever tried or purchased e-cigarettes?”. In total, 19.2% of respondents reported having accessed e-cigarettes, with this being higher in males than females, and increasing with age and socioeconomic deprivation. Level of e-cigarette access was higher among those who had smoked, ranging from 4.9% of never smokers, through 50.7% of ex-smokers, 67.2% of light smokers and 75.8% of heavy smokers. E-cigarette use was associated with alcohol use, with those who drank alcohol more likely to have accessed e-cigarettes than non-drinkers, as well as with smoking by parents/guardians. The authors conclude that their results raise concerns around the access to e-cigarettes by children, particularly among those who have never smoked cigarettes. They argue that their findings suggest that the children who access e-cigarettes are also those most vulnerable to other forms of substance use and risk-taking behavior, and conclude with a call for the “urgent need for controls on e-cigarette sales to children”. The study has some important strengths, most notably its relatively large size, and ability to determine which respondents were living in rich and poor areas. Understanding the determinants of e-cigarette use, and patterns of use across different sections of society, is important to inform the ongoing debate around their potential benefits and harms. However, it is also not clear what this study tells us that was not already known. The results are consistent with previous, larger surveys, which show that young people (mostly smokers) are trying e-cigarettes. Critically, these previous surveys have shown that while some young non-smokers are experimenting with electronic cigarettes, progression to regular use among this group is rare. 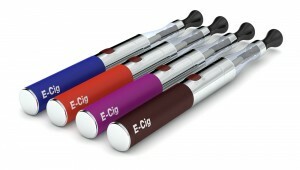 Product labels already indicate that electronic cigarettes are not for sale to under-18s, and in 2014 the UK government indicated that legislation will be brought forward to prohibit the sale of electronic cigarettes to under-18s in England and Wales (although at present no such commitment has been made in Scotland). As the authors acknowledge, this was not meant to be a representative survey, and the results can therefore not be generalized to the rest of the north-west of England, let alone the wider UK. As a cross-sectional survey it was not able to follow up individual respondents, for example to determine whether never smokers using e-cigarettes progress to smoking. This problem is common to most e-cigarette surveys to date. The question asked does not tell us whether the participants actually used the e-cigarette they accessed, or what liquid was purchased with the e-cigarette (e.g., the concentration of nicotine). Zero-nicotine solutions are available, and there is evidence that these solutions are widely used by young people. The results are presented confusingly, with numerous percentages (and percentages of percentages) reported. For example, 4.9% of never smokers reported having accessed e-cigarettes, but this is less than 3% of the overall sample (fewer than 500 out of 16,193 respondents). This is potentially an important number to know, but is not reported directly in the article. Young Persons Alcohol and Tobacco Survey 2013. Lancashire County Council’s Trading Standards. 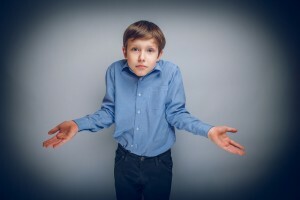 Posted in Comment, Educational, Mental elf, ResearchTagged E-cigarette, Marcus Munafo, Smoking, Smoking cessationLeave a Comment on E-cigarettes and teenagers: cause for concern?